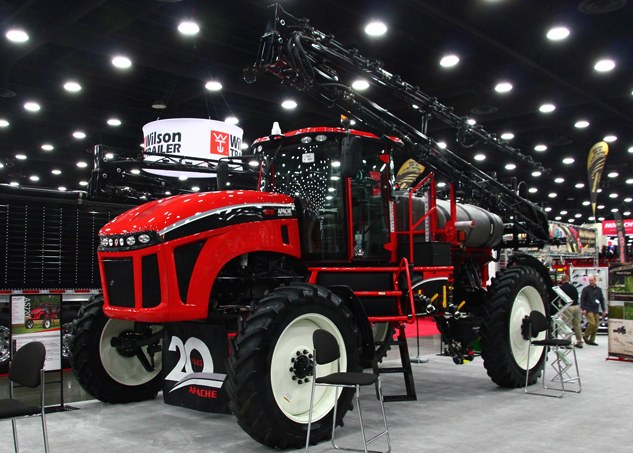 The 2017 National Farm Machinery Show was so full of interesting new products that we spread our coverage over three articles. In Part 1 we discussed the latest from Case IH, JCB, Zetor and AGCO. In Part 2 we dug into John Deere, New Holland, Mahindra, Rhino, Krone and Claas. In this third and final installment, we look at Equipment Technologies (Apache Sprayers in particular), Kioti, Thunder Creek, Yanmar, Bush Hog, Kubota and Woods Equipment Company. Read more about the 2017 National Farm Machinery Show Report: Part 3 at Tractor.com.